Born and raised in Cincinnati, Ohio, Chef Steven Shockley grew up surrounded by good people, good food, and a rich history of farming. He soon realized his desire to impact people’s lives through the meals they shared together, and his passion has taken him around the world to many different restaurants, culinary schools, and kitchens. 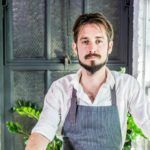 Shockley says he is constantly finding new ways to make guests experience food and drink in a way that defies their understanding of restaurants and what they’ve known of a dining out. He tells a story in every meal, combining fresh, globally inspired ingredients to create an enriched culinary experience. Shockley is currently executive chef at The Anchor-otr in his hometown of Cincinnati. 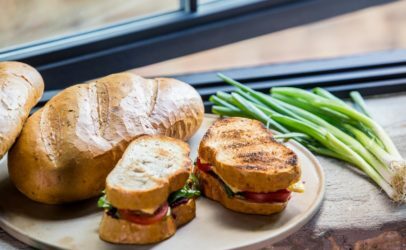 A variety of Midwest flavors, including beets, tomatoes, sharp cheddar cheese, lettuce, and a citronette dressing to complement our Old World rye bread. 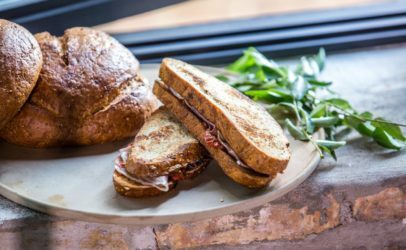 A fusion of traditional European breakfast fare with sweet and savory Indian spices for a one-of-a-kind sandwich on toasted rye bread. 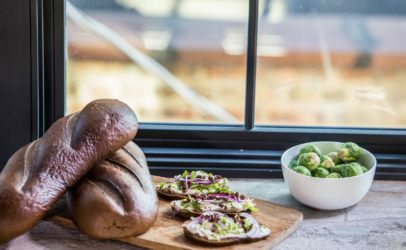 A twist on the traditional German Braunschweiger sandwich by substituting pork with a pureed duck liver atop classic pumpernickel bread.